(Previous night) Me: So we'll play squash tomorrow, right? Me (all enthu): I'll set my alarm and wake you up. (Morning) I roll out of bed with great difficulty and find Vijay has disappeared. He's out in the drawing room playing on his phone. Vijay (looks up bleary-eyed): Couldn't sleep from four thirty a.m.
Me: Wow, you were really looking forward to the game, huh? I run about getting ready and head over to the balcony and fetch the rackets: Let's go! Vijay (glancing over for a millisecond): You've got out the tennis rackets. The squash ones are the longish ones, yaar. Me (indignant, already running back to do the switch): As if I didn't know that! You think I'm a fool or something? On the way to the court, Vijay complains about a backache and staggers along as I bounce all the way. I pause for a moment, concerned: Are you sure you're up to playing today, honey? Indeed, it looks like today Vijay is hardly on top of his game. His shots don't have their usual sting and he's slower to return mine. I place the ball cleverly towards the front of the court, causing him to stumble and miss as he reaches out. Vijay (straightening up): Okay. Let's start. Me ( surprised): Huh? What do you mean, let's START? I can't seem to hit the ball at all now. I run for it and miss. It rolls to a corner. I go pick it up and smash it as hard as I can. It hits the wall only one foot above the ground and rolls towards Vijay's feet. Me (shrugging) I'm a little out of touch. Things pick up as we play on. I am now able to return some of his shots. I find that it helps to psych myself into playing with more power if I use some sound effects. He leans forward to return the shot, but the ball bounces twice before he can get to it. 'Got any others?' He grunts. We start the game and within no time, the score is seven-love. No prizes for guessing who's winning. 'You're playing too hard.' I complain, panting. 'LALLU?' I grit my teeth. This is an insult. He's gone too far now. I brace myself in a PV-Sindhu type stance, never mind that it's a different game. The ball comes right towards me and I lunge, pivot, swing and SMASH. It bounces lightly against the wall and arrives obligingly right in front of Vijay, who obliterates it and me in the same stroke. I see what he means by Lallu. Vijay's lips twitch just slightly but he ignores me, managing to refrain from responding with the truth. Fine. F****. B******d. I mentally use the cuss words I know to work myself up into a frenzy. Bloody. Damn. F*** the bloody F******. I hit the ball with all my might, but it glances off the edge of my racket and heads straight for Vijay's head. The games do not go well. For me. Vijay wins both of them, with me unable to score a single point. 'Let's work on your backhand.' He suggests. 'What's the point?' I sigh. The phone alarm rings and I say happily. 'Time up. I'm going!' I take my racket and run away from the court. 'I'll just play a few knocks.' Vijay calls. When I see him from the ledge above the court, he's moving around at a dizzying pace, serving himself impossible shots, diving to pick them up in impossible returns, and all in all, taunting me with his grace and style and power. All trace of tiredness and backaches seem to have disappeared from him, although I realize that they may have just passed on to me. The words that strike me as I look at him are Lithe Lion. I turn wearily to take my Loser Lallu self back home. 4. A Mother of three. If that wasn’t inspiring enough, Yashodhara Lal Sharma still feels that it is never enough and that there is always more to do. One look at her picture and you’d know you are dealing with someone who knows her mind precisely and doesn’t mix up words or their meanings to say exactly what she wants to. Her zealous enthusiasm is worth every ounce of admiration. Her blog describes her as a “Woman-In-Progress” but if you listen to what she has to say, you’d know she has found her ground already and without ceasing to move beyond her own benchmarks, she still stays firm on it. She talks to SRRs today about her books, her inspirations, her priorities, her concept of balance and some more things that make her who she is today. Q. An author, a Zumba instructor, a corporate professional and a mother of three little ones - When one looks at this, one is in awe. But one isn't aware of the perpetual struggle for balance that goes underneath. Would you like to tell us something about that? Yashodhara: I think you’re right about the fact that there is a lot going on underneath and that there is a struggle, just like in everyone’s life. But I wouldn’t anymore call it a perpetual struggle for balance because I believe I have deliberately imbalanced my life towards the things that make me feel stronger; and this has been a journey. I was always someone who enjoyed doing many, many things. I’ve told myself I’m a Jill-of-all-trades but over a period of time, I realized I am really good at a bunch of things too, and it’s just a different way of being from someone who prefers to master one or two fields. Life is a lot more interesting for me because I can vary it up. And everything feeds on everything else – my inspiration from writing comes from my interactions with the corporate world and my family; my workout regime provides me with the energy to do other things; my interest in music sparks a whole different creative side of me. A couple of books that have helped me figure things out– Refuse to Choose; and Finding Your Strongest Life. Q. I know you are already juggling multi-faceted activities but I still want to pose this question, do you sometimes feel you have lost on something in life that you could have also focused upon? Yashodhara: Of course. There’s always more to do; and true mastery, as they say, for any skill requires 10,000 hours to be put in. So whether in terms of breadth or in terms of depth, there’s always more that could be done. But I feel I’ve opened up a whole new world for myself in the thirties; and I look forward to doing more and learning more in my forties and beyond too. There was a point I used to feel bad that I didn’t focus more on learning music as a child; but I’m making up for it as an adult, and I have a twenty year plan to be good at the piano when I retire. Sometimes I look at other authors who have a lot more time to write and to promote their work and build their brand, and I can’t help but compare. But then, I tried being a full-time author myself for a short while and it didn’t work for me, I felt unfulfilled about not being able to work – so as long as a choice is a conscious one, it is fine. These days therefore, I just try to be as conscious about my choices as possible. Q. We have been having this series of posts lately about what kind of exposure must kids have in terms of reading? Does one monitor it constantly? Advice them in terms of do's and don'ts in reading? Any thoughts about this? Yashodhara: Yes, my thoughts are that supervision doesn’t work in such an exposed world anyway. I don’t think it’s about curating or controlling what they read, beyond a point; but being connected to what they’re reading and being able to talk to them about the issues that they discover, some of which will inevitably make them uncomfortable. In the age of the internet and YouTube and iPads, there’s only so much monitoring you can do. I don’t believe in it and frankly, I don’t have the time for it, either! So I'd say just instill the love for reading in them; encourage it and give them resources to explore (I use iloveread.in as well as Kindle Unlimited for my daughter); and be around to talk about the books. Q. How did you decide on the nicknames of your children - (And I loved them) - Peanut, Pickle and Papad? And amusing as the names are, children are known to have their stands about their names. Are the names well accepted by them? Yashodhara: So Peanut happened because in the ultrasound when we first saw her, she was shaped like a Peanut. And then while we were on food names beginning with P, we brainstormed names for the twins - like Popcorn, Pepper, Pizza and even Parantha. Pickle & Papad was Picked and yes, it’s a bit of a Pickle now that they’re growing up, but only for Pickle, who is somewhat conscious about his name and doesn’t want it revealed to his school friends. Unfortunately for him, Papad and Peanut are unabashed and infact, rather proud of their own nicknames and since they all go to the same school, they call him by it loudly in the canteen, much to his dismay. It may scar them a little over time, but then I never claimed to be a great mom. Q. When did you first realize that you want to write? Which was your first story? Yashodhara: I have wanted to be an author forever; I just naturally assumed I’d grow up to write, and yes, I was a big, big reader. I don’t recall my first ever story, but my mother has preserved a rather embarrassing collection of my ‘works’ including poems and other silly pieces from when I was seven years old. I’d buried the desire to write when I first started working in my twenties, but I had a wake-up call with my difficult second pregnancy that made me realize life is short, dammit! And here I am, seven years later, with seven books – five published already and two slated for the next year. Q. You generally pick up the mundane, find humor in it and make it hilarious. Where do you find the inspiration for this? Finding humor always is a tough task, no? 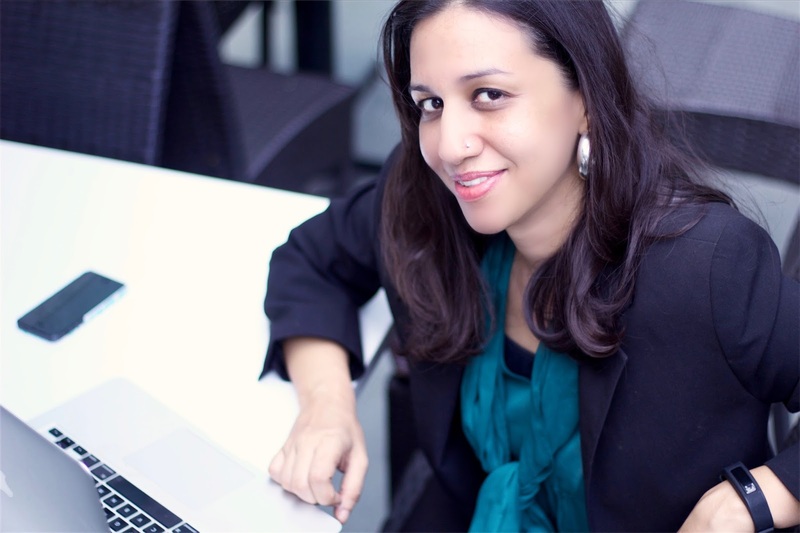 Yashodhara: I would say it started with my blog, which I began in 2008. I was bored and pregnant and decided that I would rekindle my love for writing by focusing on whatever was going on around me. In fact, the stories about my husband on my blog www.yashodharalal.com were the ones most appreciated by this lovely community of mom-bloggers and that was what gave me the inspiration to write my first book ‘Just Married, Please Excuse.’ I have since written fiction books as well, but I feel my favorite form of writing is more memoir-style and I’m happy that my next two works with HarperCollins are going to be - ‘How I became a Farmer’s Wife’ (based on my husband’s adventures in farming) and ‘The Last Summer Being Gudia (a childhood memoir based on my own experience growing up in Delhi of the 90’s.) And I don’t think finding humor is a tough task. I think humour, for me at least, is a very strong natural defense mechanism to deal with life! Q. How does writing children books compare with writing adult books? Which one is easier? 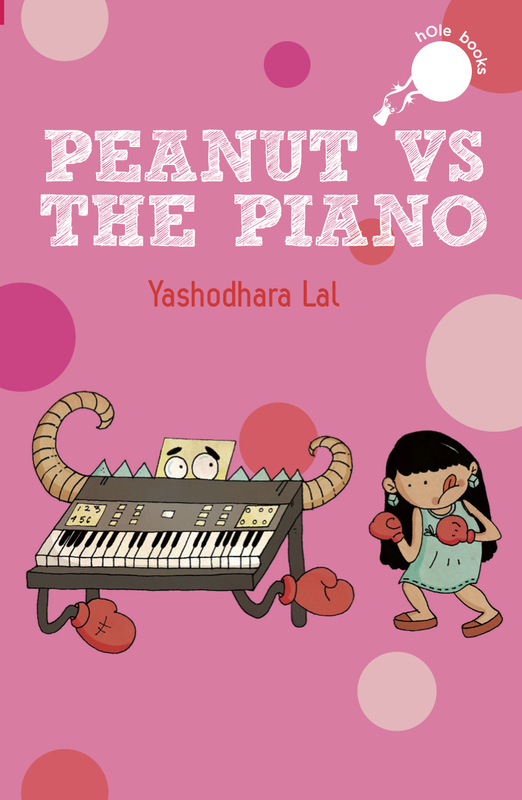 Yashodhara: Oh, any day, writing a kid’s book – just because it’s one-tenth the size! 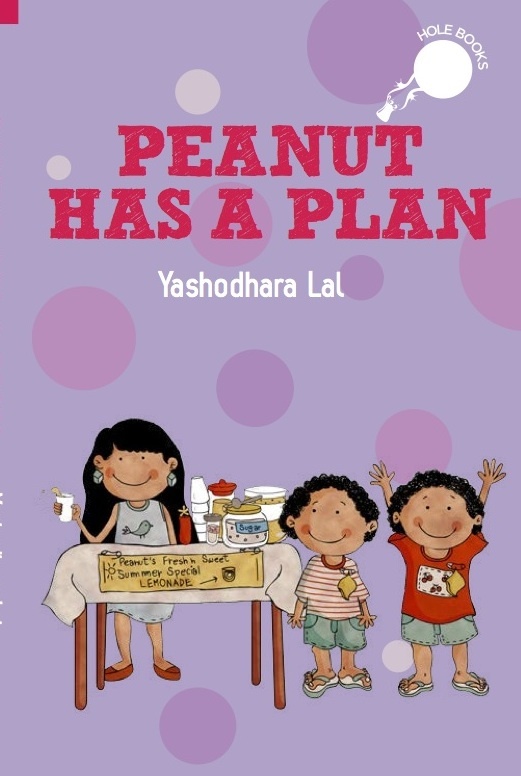 But it is an art in itself and my first book, Peanut Has a Plan, had a lot of learning from me. I was lucky to be able to learn from the best, though. My publisher Duckbill is composed of Sayoni Basu and Anushka Ravishanker – Sayoni has a wonderful sense of humour and Anushka is a force to reckon with in children’s writing. I hope to be able to keep giving them books over time based on young Peanut’s adventures in life. As you can guess, Peanut loves it, although Pickle and Papad are up in arms and demanding to know when ‘Pickle Is a Football Champ’ and ‘Papad the Taekwondo King’ are coming out. Q. So when you wrote Peanut has a Plan, did Peanut actually read it as an alpha/beta reader before it went into publishing? If yes, what were her inputs? 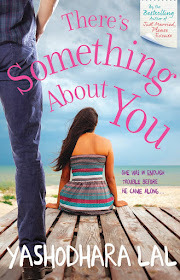 And also when you publish on your blogposts and/or books, does that happen post husband/kids reading? When she read the draft, she liked it a lot, although it took a while for me to explain to her that it was based on her but was a fictionalized account of her entrepreneurial ventures. Just so you know, Sayoni and Anushka of Duckbill happened to be my Zumba students and one day they read a blogpost I had written on Peanut’s ‘businesses’ and suggested that it could be a book. So Peanut’s inputs were twofold – first, she thought I’d made myself as the Mum sound a little meaner than in real life, which was heartening. The other was when the illustrations came in and she couldn’t reconcile to having big teeth and a bird that randomly appeared on her head sometimes. We capitulated on the teeth and kept the bird. The illustrations by Shreya Sen are wonderful, and that’s the beauty of a kid’s book, I think – seeing it brought to life through illustrations. Vijay’s not so much the reader, so it was only just before the publication of Just Married, Please Excuse that he woke up and said ‘Arrey, yeh to mere baare mein hain’ and sat up till 2 a.m. reading it. For ‘The Farmer’s Wife’ book though, I’m pleased to say that several months before time, he’s read it and given me critical inputs and called it ‘beautiful.’ Which is high praise coming from him. As far as getting them to read my blog posts about them before I publish, no way! The kids are too small to care as of now, and Vijay is resigned to being written about, just like he's resigned to so much else about being married to me. Q. Have you spent your nights telling Good night stories to your children too? Did you make them up or read them from books? Yashodhara: I’ve done a lot of storytelling to my kids. With my now-ten year old daughter Peanut, I used to read to her incessantly, even when she was a baby. And it’s shown up in her love for books. By the time the twins rolled around, things were different and I didn’t make the time to read to them so they are much slower – but the good thing is, they’re learning from their sister and are getting into books now. I have mostly been reading to them from books, but of late, I’ve created a strange sort of Family Saga set ten years into the future – based on my daughter, now nineteen and her fiance ‘Richard’ who come home from America and are treated with disapproval by my husband Vijay, who unfortunately almost always features as the hero as well as comic relief in my writing. The kids LOVE this and while I concluded it last night, they’ve told me in no certain terms that they want this particular story to continue ‘forever’. Q. There are still a lot of regressive corporate policies which thwart a woman's ambition. You have vividly spoken about them in your book "When Love Finds You" as well. Personally, how has the corporate journey been so far? Yashodhara: It’s been a mixed bag for me. I started out strong; and then after my first pregnancy, I felt I didn’t get a lot of support from the corporate world in terms of the flexibility I needed at that stage; but then I got back in the game, stumbled around and now I find myself at a Vice-President role in an organization and strangely enough, one of the important things I do is actually lead the charge for Gender Diversity. Over the last several years, things have changed quite a bit in terms of corporate policy and now there’s a lot more understanding about why Diversity makes business sense – I’d say the corporate journey overall for me has been pretty great, and I’ve been lucky to have mentors who really believe in me based on my past work with them. 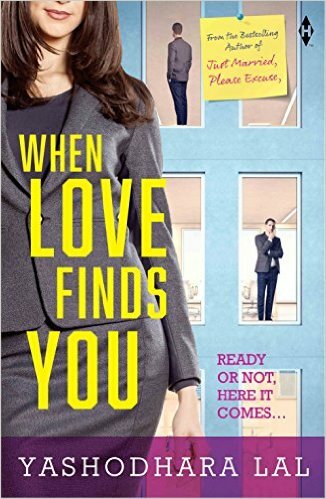 In ‘When Love Finds You’, I address issues around this. Q. Can you tell us some of your most favorite authors? Who among them inspire your writing? Yashodhara: My favourite writers growing up were Gerald Durrell and Bill Bryson and James Herriot, all of whom write with a fair degree of humor based on real-life experiences – clearly that shows up in my preference for writing with humor and relatability. My favorite book of all time is the Thornbirds! I think the writing influences are many for me. Q. Tell us something about your next endeavor. Yashodhara: Ah yes. 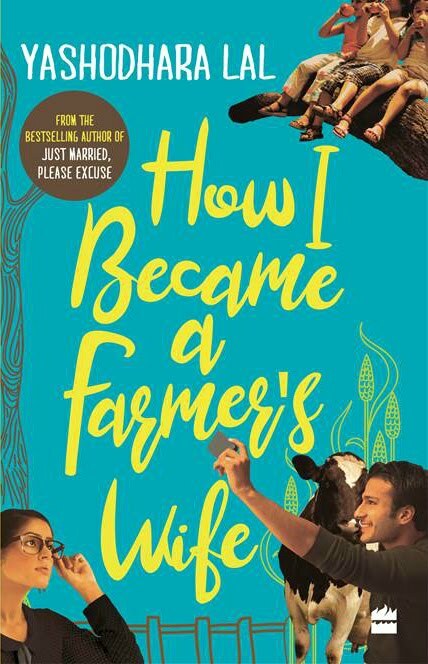 ‘How I became a Farmer’s Wife.’ For the longest time, my husband wanted to be a farmer. This even featured as a chapter in my first book years ago, and I put it up on my blog in December 2015 here -http://www.yashodharalal.com/20…/…/the-proud-landowners.html. Well - last year, he went ahead and actually rented some land, bought some cows and surprised everyone around him, most of all me, by doing what he’d said he would. 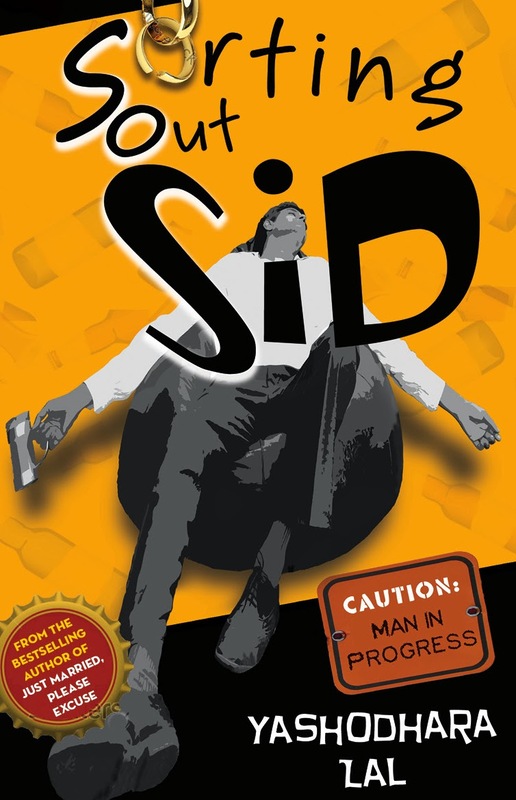 This book is a very humorous and almost entirely accurate account of the whole experience. I wrote it in a short span of time, and wasn’t sure what my editors would say, but HarperCollins absolutely loved it and we have big plans and hopes from this book, which should release in early 2018, perhaps under a slightly altered title. Q. We have many newbie authors amongst us. What would be your advice for them? Yashodhara: My advice is simple. Keep your focus on your writing. Watch other authors but resist the urge to compare. Read Stephen King’s ‘On Writing’ but don’t follow the bits you don’t agree with. Be prepared for a tough journey. Figure out why you’re doing what you’re doing. And then just go ahead and keep doing it. And keep getting better at it. And last of all, please don’t say you don’t have time to read. That’s not cool. Also, as a bonus, here’s a memo I wrote last year to First-time authors. And don’t worry; I made almost all those mistakes myself too, ha ha! I hope it proves useful for you! I enjoyed interacting with Yashodhara and her energy is super-contagious. Hope you enjoyed the interview as much as I did interviewing her. Yashodhara Lal is a best-selling author of four novels with HarperCollins, and a children's book with Duckbill. Her next novel 'How I became a Farmer's Wife' will be published by HarperCollins in Jan 2018. She is also a mother of three children, a corporate professional, Zumba instructor, and a student of yoga and music. She is married to Vijay and they live in Gurgaon. Stay tuned to this space for more author interviews.